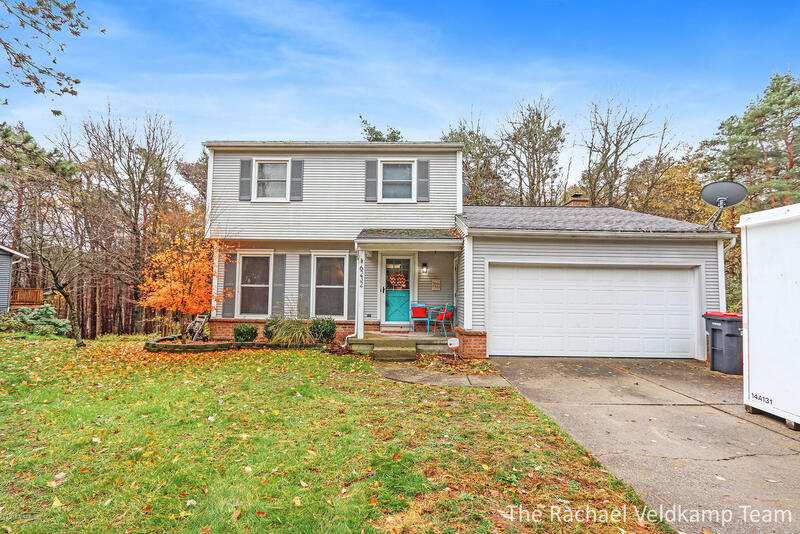 Open House Friday 11/9/18 from 4-6pm & Sunday 11/11/18 from 1-3pm!This charming 3 Bedroom 1.5 Bath on a walkout lot in Adacofts Commons has so much to offer! On the main floor you will find a living room, kitchen, dining room, half bath, and a family room with a fireplace, and large deck overlooking private wooded views. Upstairs you will find 3 bedrooms and a full bathroom. This home is located in the Award-winning Forest Hills Schools. Walking distance to bike path, and local parks/amenities. Schedule your showing today!